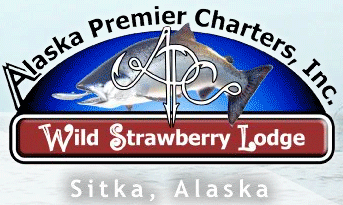 In March of 2016, the Recreational Fishing Alliance (RFA) will draw one winning name, at random, from our database of active RFA members,to win a trip for two to Wild Strawberry Lodge in Sitka, Alaska. The trip includes three days of fishing and four nights accommodations for one lucky winner and a guest, to be used between April of 2016 and September 1, 2016 (per availability). The winner and their guest will be responsible for all taxes and airfare; also not included is dinner on arrival night, taxes, gratuities, or alcohol. Wild Strawberry Lodge, located in scenic Sitka, Alaska, offers incredible multi-day inclusive fishing vacations for halibut and salmon fishing. Their professional guide staff and experienced deckhands make fishing easy and exciting, using only the finest custom-built charter fishing vessels and top-quality sport fishing gear. With over 22 years of experience and excellence in Alaska fishing vacations, they’re the perfect place to come with your family and friends. Learn more about Sitka, AK and Wild Strawberry Lodge this winter show season wherever you find the RFA volunteer booth, or visit the Wild Strawberry Lodge fishing page at www.wildstrawberrylodge.com/fishing. You can also call RFA directly at 888-564-6732.